On this day in 1631 Mumtaz Mahal died. 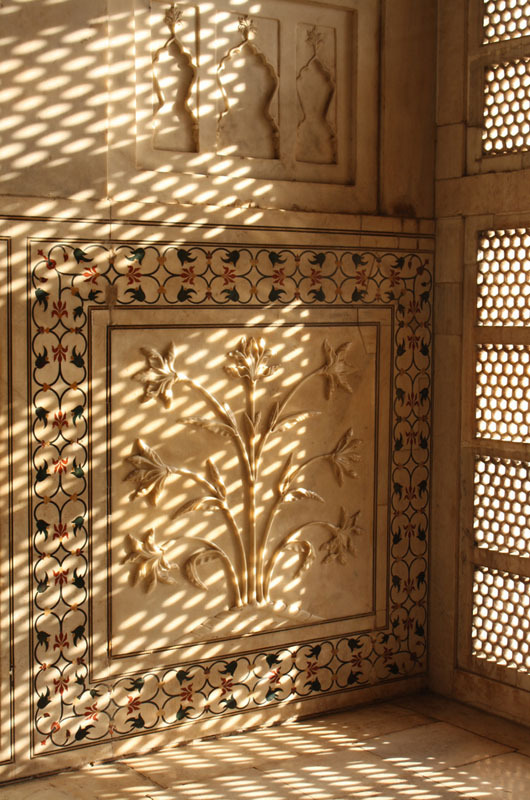 Her name, which “the chosen one of the palace,” was bestowed upon her by her husband, Shah Jahan of the Mughal Dynasty. Theirs was no simple, mutually advantageous arrangement between aristocrats, but by all accounts recorded by court chroniclers and Mughal poets, they enjoyed a true partnership and loving marriage. Mumtaz Mahal (b. 1593) inspired absolute devotion and confidence in her husband, and he unquestioningly supported whatever endeavors caught her fancy. So inseparable were they, that she accompanied him on the long treks into war-torn regions of the empire, even when pregnant (and she spent a lot of her life pregnant). She died giving birth to their fourteenth child. 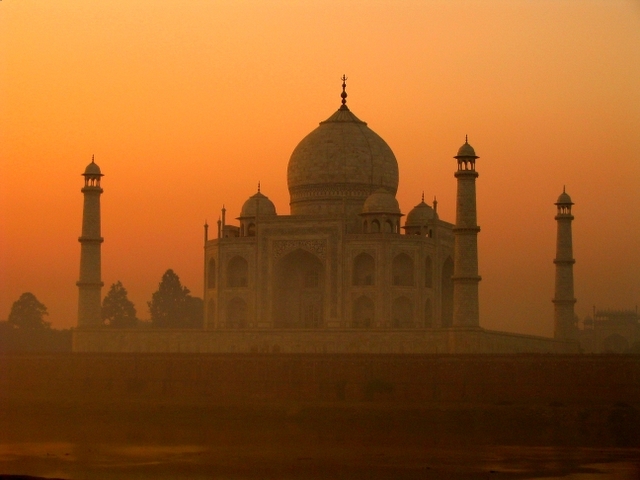 Shah Jahan found little consolation in anything left to him in the world, and poured himself into planning the extensive garden and mausoleum that, twenty-two years later, would become her final burial site. This is, of course, the Taj Mahal (1632-53). One of the traditions of Mughal architecture is the construction of extensive and elaborate mausolea, often in context with gardens, but none was so perfect, nor so expensive, as this one. 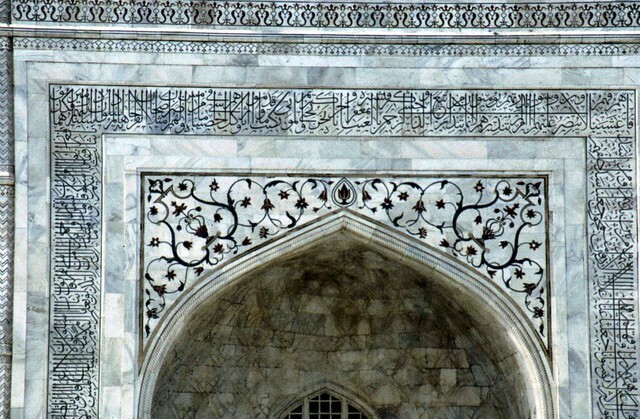 Shah Jahan directed the architects to design the grandest version of a centralized domed structure, and to reverse the regular use of ornaments: the precious materials were made predominant, and the more regularly used red sandstone shrank by comparison. The architectural composition maintains exacting proportions and absolute symmetries–to the point that a small mosque behind the mausoleum is balanced by an origianlly non-functional “answer” building. Rich materials are employed in delicate ornament on the exterior and interior within acres of white marble. 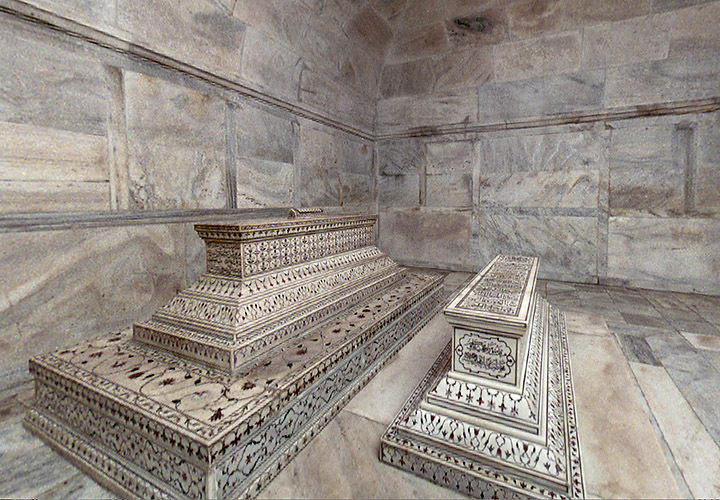 Inside, where lapidary art (the inlay of gemstones) predominates, the sarcophagi are visible on the first floor; the actual burials of Mumtaz Mahal and Shah Jahan are in the lowest level, following the Persian tradition adopted by the Mughals. She is in the center; the emperor rests to her side. 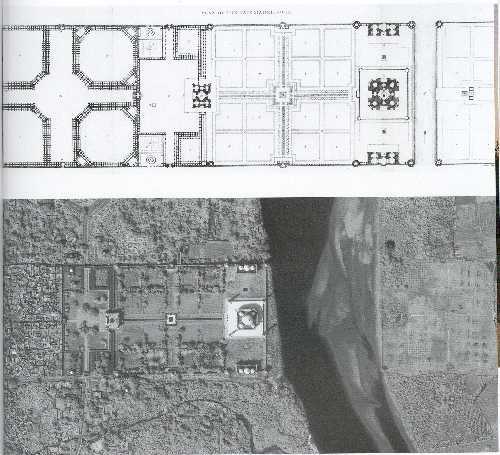 Splendid as the building is, it does not project its full meaning without its context, the expansive garden that recent archaeology has revealed extends beyond the Yamuna River. It is a strictly symmetrical garden, with broad expanses of plantings divided into even four-square units. This is another Persian/Mughal motif, one that refers immediately to the Muslim vision of Paradise as being watered by four rivers. Thus the burial site is in an earthly interpretation of Heaven; doubly appropriate for this mausoleum dedicated to one man’s great love. There is no greater love letter standing on earth. Your article is very well written and interesting. Given your interest in the Taj Mahal and Mughal history might I suggest having a look / downloading the iOS app Monumental Agra. I think you might find it very interesting. The app includes accurate history, highlights common legends, has interactive maps, an audio tour guide, as well as professional images. Would love to hear your thoughts/suggestions. You are currently reading June 17: heaven on earth at Clio’s Calendar: Daily Musings on Architectural History.